Our lockout service is able to provide timely solution to can solve your immediate car lockout issues. You may have been in a rush to get somewhere. After you found a parking spot and going straight to your appointment on time, you realize your car keys are left in the ignition and locked the door with the car running. This is a common scenario where people call for services to unlock their car doors. Attempting to unlock a car by yourself can possibly cause injury and even damage to your vehicle. Car locks are designed to be difficult to unlock, therefore without technical knowledge, using brute force can possibly cause damage to the door. 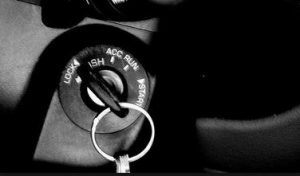 In the event you manage to recover your keys, immobilizer system might be initialized which will leave your vehicle unable to start. Every car model is unique and thus the doors have to be unlocked in different ways. Our car unlock experts have extensive knowledge in car door unlock methods, and they will work well for your specific vehicles. Our technicians employ different techniques to help drivers obtain their keys. For instance, they can pry open doors without damaging it, lock-picking, or cut new keys if necessary. Our team of technicians have the knowledge and the training to know how to handle all types of locks. This includes the training and experience to know how to handle any key problems that may happen. Our professional crew also knows how to handle any problems that occurs with your car security systems. With the knowledge and experience that our technicians have, we can be certain our car lockout service will have you back in your car and get back on the road again in no time. We can arrive quickly and bring with the right equipment to help you get back in your vehicle and get back on track fast, so don’t hesitate to call when you need our service.